Well, winter certainly hit with a vengeance in Melbourne this week after the last few weeks of serenely mild autumn days! All the more reason to bunker down with a new project or to finish an existing one. With the focus turning a bit more homeward and inward, we thought we’d share some favourites with you: in this case, something to listen to, to read and to admire. 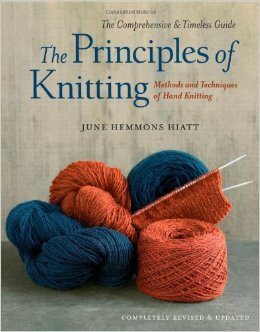 Principles of Knitting by June Hiatt: if there is one knitting reference book you need in your life, this 736-page classic is it. It’s like having a good friend at your elbow for those times when you’re stuck or wondering at the merits of a particular technique over another. The new edition features updated instructions and information that beginners and experienced knitters alike will find useful. Hiatt explains the how, but also the why, which helps you make an informed choice, depending on the effect you want to achieve. 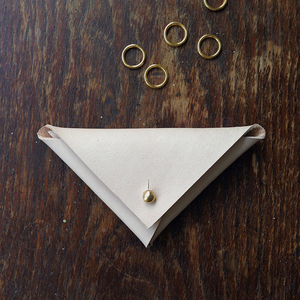 Fringe Supply & Co: it’s no secret that we love Fringe Supply and stock quite a few of their tools and accessories – the brass stitch markers pictured below will last forever, and wear beautifully. They run a very fine blog, too. That knitters are particular about their tools, especially their needles, and loyal to them, is no great revelation. Finding just the right tool for the job makes the act of making that much more pleasurable. Here are some of our favourites this week. Nicole loves her Knit Pro Symfonie interchangeable knitting needles, which she uses for almost every knitting project. She also picked up a Clover Amour crochet hook for the first time and ‘am most definitely falling in love’ – it’s ‘so comfortable to use’. Another thing she swears by are stitch markers and a good gauge ruler. Like Nicole, I’m a Knit Pro interchangeable girl, but I must confess that, having used the Addi Turbo Lace needles to make a Robin, I’m starting to understand why they are so beloved. The sharp Addi tips are fabulous when you need to knit stitches through the back loop, and there is enough drag on the needles that the stitches don’t slip off. Amy’s new favourite tool at the moment is this Sistema snack container that’s ‘the perfect size for carrying my tools on the go. It has a separate container inside that can hold stitch markers. When the lid is down I can also fit longer things like a pencil or needle gauge on top. I got it from the supermarket’. In store news, we have Arne & Carlos’ Regia sock yarns in stock. These Norwegian-accented colour combinations are justly popular, and Regia sock yarns wear very well. In our excitement to get the socks on the shelves, though, we didn’t realise till later that our stock is of 50 g instead of the more usual 100 g balls. If you bought the yarn in the last week or so and paid $14 each, please come back in for a refund. The 50 g balls (209 metres) are $7 each. And how cute are these little tins for treasures? Drop by and say hello, and tell us what’s on your needles. Stay warm! Categories: 5 things we love..., books, Knitting, podcast, Yarns | Tags: Addi, Clover, Debbie Bliss, Fringe Association, Knit Pro, Regia, things we love, Woolful | Permalink. Holy moly it’s hot today! Currently 40 something outside and 31 inside - we don’t have air con ☹️. Everyone is half naked and playing LEGO, PJ Masks, with their new DJ controller or ... knitting #nofrillscardigan and reading with an ice pack on their neck and waiting for the cool change. I hope you’re staying cool if you’re in Victoria today.